You now can look forward to being Eighty! Be happy, you’re younger than Joan Collins and Clint Eastwood! If your laughter lines are anything to go by, you’ve had a fabulous fun-filled life! At this time of life, Death doesn’t scare you! Because after 70 you’ve had time to grow accustomed to your mortality. Of course, old age is accompanied by aches and pains and lack of mobility. But you are more content now than when you were younger. We are fortunate that we have the internet, it enables the shops to come to us and we order online. Email, Facebook, Twitter and Blogging enable us to join the conversation of the world. I can still get about or should I say LIMP about! I’m fortunate I am a writer. You can still write whatever age you are. Of course we fear dementia and Alzheimer’s. An early symptom is the loss of smell-so I keep sniffing-so far, so good. We know the quality of life begins to fall for people in their 70’s, but as long as you have your marbles-you cope. When you’re in your eighth decade, inhibition diminishes, you realize you’re not going to live forever! A new fearlessness dawns and you fully enjoy your moments and you’re not afraid to speak your mind. Our only fears are the possibility of a long and painful illness and the fear of being a burden on anybody. So you hope to keep a semblance of health until the end. If the biblical “Three Score and Ten” is to be believed, then everyone over 70 is living on borrowed time. I recently took my friend, Jim, to a social function. There were about a hundred people milling about. It was a Book Fair. There were writers in attendance and people who love reading and discussing books generally. I conversed with many people but Jim just tagged along not saying more than one or two words! Then we sat down for lunch at a table with eight people. We were all chatting but Jim was mute! I asked him afterward what was wrong? Didn’t he enjoy the Book Fair? It all came out, he told me about his shyness and social anxiety. I had to help him. “I find it difficult to contribute to the conversation,” said Jim. “How do I get that?” he said quizzically. “I know some of those,” he said. “People will think you’re an intelligent talker if you just nod your head in agreement with what they are saying. That’s my little joke, just to lighten the situation,” I said smiling. “I think I’m getting your drift,” said Jim. A week later I took Jim to another function. He was completely transformed. He was constantly talking to everyone on the table. I sat there gobsmacked! “Dave, what’s wrong, you’re not talking! “You’ve got a glazed look in your eyes,” said Jim. Contact: Madalena Penny, Clockwork Content Publishing, 07832928110. 24 Traumatic Hours, Twice! – A story of abduction and horror. Adolescence is a hard time for any teenager, but for 13-year-old Tom Wilson; it is fraught with terrifying consequences. Abducted twice, young Tom is taken through a disturbing labyrinth of events at the hands of his twisted psychotic captors. 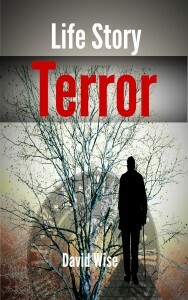 Can Tom survive these ordeals that threaten his life and crush his sanity? Set against the backdrop of 1950’s Chicago, the tale reveals the horrific events that plague the boy as he struggles with his parents’ bitter divorce and then fights for his life against his kidnappers horrifying agenda. Published only last month, 24 Traumatic Hours Twice, by David Wise has already received some excellent reviews in these first few weeks of publication. David who was born and lived his earlier years in Chicago, Illinois now lives in the UK. 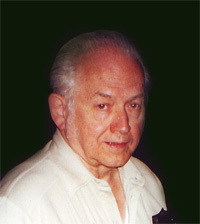 His debut novel ‘A Web of Guilt’ published in 2012 was also received with enthusiasm both in the UK and the US. His new novel ‘The Becoming’ is due to be published later this year and is sure to attract a lot of attention. I am a writer and one day while attending a literary lunch, I was seated at a table with four ladies. Now, I had recently been fighting an extreme case of writer’s block and I felt that I had lost my MUSE! These four ladies were all of a “certain age” as I am. I thought: Could one of these ladies be my replacement MUSE? One lady was a retired math teacher. One lady was a retired doctor who was an anaesthetist. One lady was a Merry Widow. And her friend, was just Merry! They all looked at me in amazement! All the ladies said they would love to be my MUSE. I put the bits of folded paper in a bag and each lady drew one. I wondered who would win. The next thing I knew I was asleep with my pen in my hand!!! 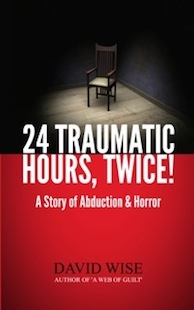 David Wise is proud to announce the release of his new e-book named ’24 Traumatic Hours, Twice’ which is now available on Amazon Kindle Books for anyone interested in it to purchase. The book tells the dramatic story of a young boy who was once abducted by a psychopath and lived through the entire process together with what the outcome will be. This is not everything included in the book, mainly due to the fact that the action takes place twice and everything happens all over again releasing essential psychological traumas the child had, but also showing how he will handle the situation and what the eventual outcome of the series of events taking place will be. The inspiring book has potential to become a worldwide hit if it gathers the right attention and if enough people read and see the impressive way in which David Wise manages to write. At the current moment, ’24 Traumatic Hours, Twice’ is available on the Amazon market platform and can be purchased with a small price of $2.99 in the USA and £2.05 in the UK, making it acceptable for all pockets, but also for people willing to have a good read on such a book. The author was born and bred in Chicago Ill, USA, but now lives in England after moving there a while back. He enjoys calling himself an Anglo-American mainly because of the time he spent in both countries. Regardless of this, he has another e-book published on Amazon Kindle Books which has received the attention of different customers. 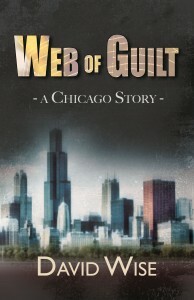 Its name is’ Web of Guilt, A Chicago Story’ and has been on the market for over a year. Together with the aspects highlighted above, the author would also like to announce his latest e-book which is in progress at the moment. 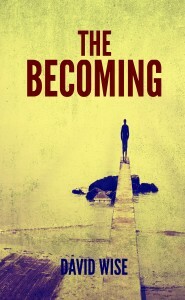 Its current working title is ‘The Becoming’ and is sure to gather a larger number of fans for this book as well. Purchase ’24 Traumatic Hours, Twice’ today!